Squats are the king of all exercises! Right? Well, it depends. For some people squats are almost miracle-like in their ability to build insane levels of strength, pack on slabs of muscle and take one’s performance to a whole new level. However, for others squat have resulted in nothing but frustration, injuries, skinny legs, back backs, achy knees and strength plateaus. While squats are great movement, we all come in different shape and sizes and this effects our squatting ability. If you want to get the most out of this amazing movement, then you need to learn how to squat right for your body type. A while back I was working with one of my students. He had just finished a set of squats and I said, “Wow, you have a great Asian Squat.” He looked at me confused as if I was insulting his ethnicity. I had some explaining to do. If someone tells you that you squat like you are Asian or Russian, that is one of the nicest compliments someone can give you in the weight room. It means your squat is beautiful. If someone tells says you squat like a typical North American, well that is pretty much the same as a slap in the face. Then there are people like me. I’m 6’3” and 90% of that is leg. If I tuck my shirt in and pull my pants up to my actual waste, I have quite the look. While this is great build for sports like volleyball, I won’t have any Powerlifting or Weightlifting coaches trying to recruit me. 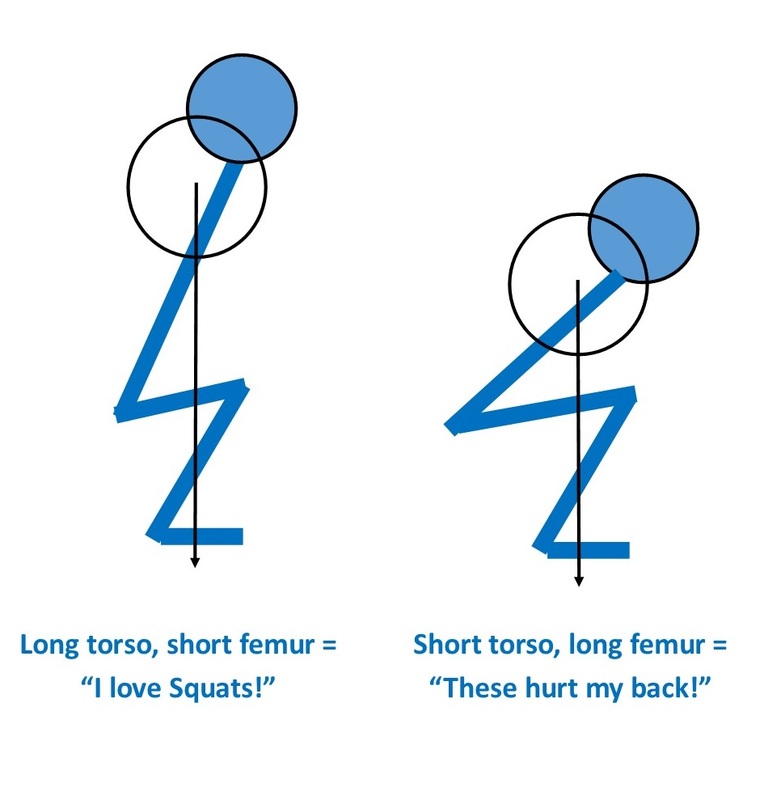 While shorter people are generally better at squatting than taller people, squatting ability has more to do with your ratio of torso to femur length than your height. I have coached some athletes that are way taller than me that still have pretty-looking back squats because they have a relatively long torso. Before we go any further, it is important to note that while there are things such as hip structure and body proportions that you cannot change, there are other even more important factors to squatting such as mobility, stability and skill that you do have control over. Even I can break parallel because I have decent lower body mobility. Effective training is about first changing what you can change and then working with what you can’t. If you have been blessed with great squatting proportions and have good lower body mobility, then you will have many options to choose from. 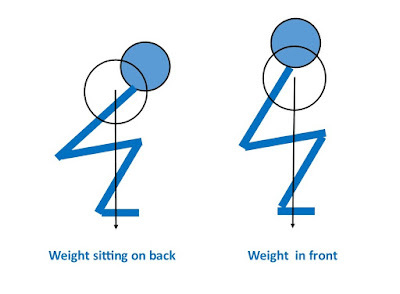 If you are built more like me, then you want to be careful with squats that place the weight on your back as this causes you to lean forward more to keep the weight over your feet. Here is video of me squatting several years ago. At the time I was trying to copy powerlifters. In addition to rocking a weight belt (and the sorriest example of gym fashion – that still hasn’t changed), I tried a low-bar squat with a huge focus on sitting back and hip drive. This poor choice in squat style combined with my lack of squatting skills at the time resulted in one of the ugliest good-morning squats I’ve ever seen. I still cringe when I watch this so view at your own risk – you have been warned. When someone with poor squatting proportions tries to squat like someone with great proportions, bad things happen. Below is a picture of me trying to do a normal back squat. While it is not awful, notice the tail tuck and more forward lean. Also, to get this depth, I had to relax quite a bit - not a good plan with a heavy barbell on your back! However, notice in this picture below what happens when I spread my knees. By spreading your knees, you move your thighs out of the way so your hips can move between them. From a mechanical perspective the knee spread makes the femur look and work as if it is shorter (notice the difference of my thigh length in the picture above and the picture below). Also if you compare this squat to the ugly squat video of me posted above, you will notice that I’m much more upright. While I’m not trying to shoot my knees forward, I’m focusing more on squatting “down” instead of “back”. While the “sit back” cue can be great for powerlifting, it can result in a lot of forward lean if you have a short torso. The back squat can also be modified to be more low back friendly with the aid of a heel elevation. This can be done through placing a mat or plates under the heels or by wearing weightlifting shoes. Note: this can only help so much as too much elevation can bug your knees and feel unnatural. Depending on your structure, these minor mechanical changes may not be enough to get you upright enough to effectively squat. As a general guideline, unless you are doing a powerlifting squat, try to keep your torso at the same angle of your tibia (shin bone) or more vertical. See the picture below for details. I’m not anti-back squat. As a university strength coach and personal trainer, I have used the back squat successfully to improve performance and leg aesthetics in many athletes and clients. However, after training so many different types and sizes of bodies over the years, I have learned that not everyone does well with certain squat variations. Also, some research shows that single leg squats may be just as good if not slightly better than double-leg squats. I have some athletes who either because of previous injuries or lack of results with regular squats who use split squats in place of a squat. What I have found in these cases is that if the athlete really goes after a split squat variation and gets way stronger at them, good things happen. In this case, I often recommend that athletes still maintain the squatting pattern with some lighter goblet squats as part of their warm-up. Unless you compete in Powerlifting, you don’t have to back squat. While back squats have gotten countless people big and strong, they have also wrecked many others. 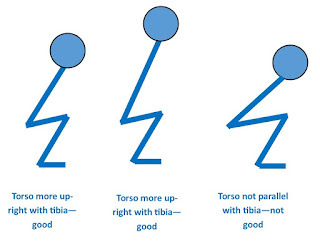 Yes, of course poor technique is often to blame, but so is poor selection of a squatting variation suited to an individual’s structure. While every healthy person can benefit from squatting, not everyone will benefit from the exact same variation of the squat. As the old saying goes, don’t try to force a square beg into a round hole. If a particular variation type of squat is hurting you, try another one. Also demand results from the exercises you select. If a particular version of the squatting is failing to improve your performance, build muscle or allow you to progressively add weight, then you need to explore other variations of the movement until you find what works best for you. How about you? What is your favorite squat variation? As always, I invite you to leave your questions and comments below or on my Facebook Page. I get strange looks for using a front rack position. Now I can explain it in biomechanics terms rather than just that I've had spinal injuries. You are most welcome Lissa! I hope it helps you and the other people at your gym. 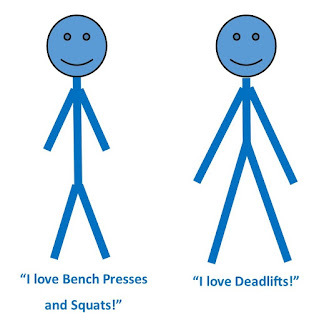 hey great explanation!I have yet to really measure myself but for some reason Ive always loved deadlifting more then squatting. I do feel as if I have a small torso compared to my legs and was debating between a smaller heel or sticking with the ones I have now which is the nike roms 2. If you get a chance to help out my IG is meehhhooo if not thank you for this! Thanks for your comments. Yes, it sounds like you have more of a deadlift structure. Focus on the squat variations that allow you to stay more upright. All the best! Hi! Thank you for your post. I was just wondering if there was a ratio or way to measure your femur and torso to see which type of person you are. Sorry I missed your question. I don't have an official ratio and I have never seen this in the literature. Just look at your overall body proportions when you stand in front of a full-length mirror and if you have long legs and a short torso, consider the modifications given above. You are welcome Antti - thanks for reading! I have just started squatting & I have exactly this problem. My legs are so so so so so long compared to my torso!! Thank you for this video, very helpful! You are most welcome. All the best with your leg training! Great post, thanks! I just watched an amazing video from Steffi Cohen about how to choose sumo vs conventional deadlift depending on your body proportions. https://www.youtube.com/watch?v=fQZ-RwYVLlc At round about 10:00 she explains how to calculate torso length, and provides a chart telling you whether you have a long, average, or short torso, which equates to short, average, or long legs. I have long legs, and my low bar back squat takes me close to horizontal. Thanks to your article, I'm going to give myself a break and start trying out the variations you recommend. Thanks for sharing David. I hope these variations help. You can also see my post "Deadlift Right for Your Body Type"
Thanks for the great info, Andrew. I hear a lot of debate from people whether or not you should keep your knees in front or behind of your toes while squatting? What is your take on this? Great question Jeevin! There is not hard rule that applies to everyone. If the knees don't move forward enough, you don't get as much stress on your quads and may get extra stress on your back. If they move forward too much, you will hammer your quads, but may hurt your knees. Always keep some pressure on your heels (even if you use small heel lift), don't let the knees go so far forward that you get knee pain during or after training and know why you are squatting in the first place (e.g. 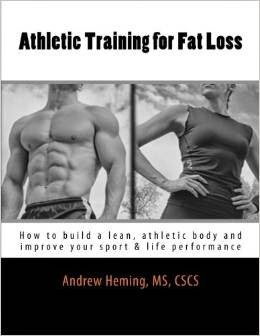 bigger quads vs. winning a powerlifting competition) and let that influence how you squat - see my post: The Best Way to Squat: http://www.andrewheming.com/2015/11/the-best-way-to-squat.html for more details. Awesome! Thanks for the tips, Andrew! So appreciate it! You bet Jeevin - all the best! This was great, it all makes sense now why my squat lags behind my deadlifts so much. I'm not particularly leggy or even tall and despite being asian I dont have the 'asian' proportions but I noticed that my squat rarely improved when I tried following 'conventional' squatting advice.